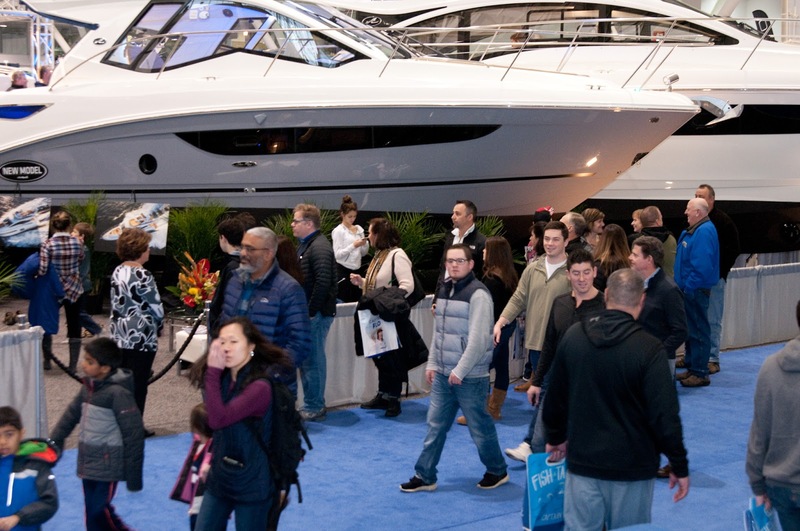 The 2018 Progressive Insurance New England Boat Show drops anchor at the Boston Convention Center, February 10th -18th. This nine-day interactive, educational, immersive and entertaining experience attracts more than 50,000 marine enthusiasts of all ages and lifestyles. 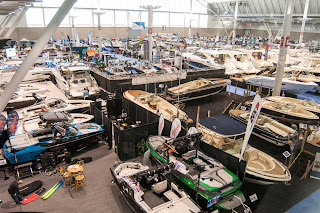 With something for every budget and level of interest the Show will feature 600 boats, 250 exhibitors and the best deals of the year for New Englanders prepping for another glorious summer on the water. I have a special offer for my readers, if you purchase tickets before Friday, February 9th, you can use the code BOATGO to get a special Buy One Get One (BOGO) free deal! Progressive® Boat Club: Attendees can take the helm at Progressive’s NEW Oculus Rift virtual reality experience, putting themselves at the helm of a virtual boat race, navigating simulated waters, all while trying to beat the clock. For those looking to improve their nautical know-how the Annapolis School of Seamanship will be on deck with an array of hands-on boating courses and visitors can master docking skills at the docking pool with remote control model boats. Plus, exhausted attendees can relax, talk to Progressive experts, get a free quote and win prizes in Progressive Boat Club’s lounge area. Touch-a-Boat Tour: An up-close opportunity for kids of all ages to explore an array of vessels, talk with captains, snap a pic at the helm and learn the ropes of life on the high seas. 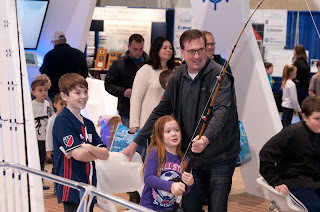 Kids get their very own boat show passport to collect stamps at 10 boat stops around the Show. Climb aboard a real United States Coast Guard Boat, plus a variety of recreational boats from pontoons to cruisers and more! Hop on “Salt”, the life-size whale, a 40’ life-size inflatable Humpback whale to learn about safe boating around whales. Build a toy boat to bring home as a nautical souvenir. Gone Fishing: Goose Hummock Shops will be offering top-notch fishing seminars and kayak demos in two giant, brand new fiberglass water tanks, attendees can test lures, rods and reels, plus the latest kayaks. 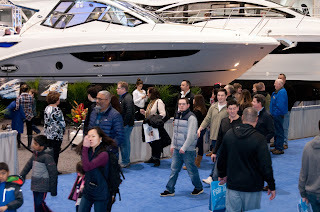 Stay tuned for more seminar times and updates soon on NewEnglandBoatShow.com. Nautical Fare: A returning fan favorite is, South Boston’s dynamic restaurant just minutes from the BCEC, Coppersmith will offer visitors live cooking demos from Executive Chef Jason Heard and his team for a perfect day on the water. Demos will include tuna tartare wontons, prime rib sliders and more on Saturday, Feb. 10, Thursday, Feb. 15 and Saturday, Feb. 17 from the Goose Hummock booth. 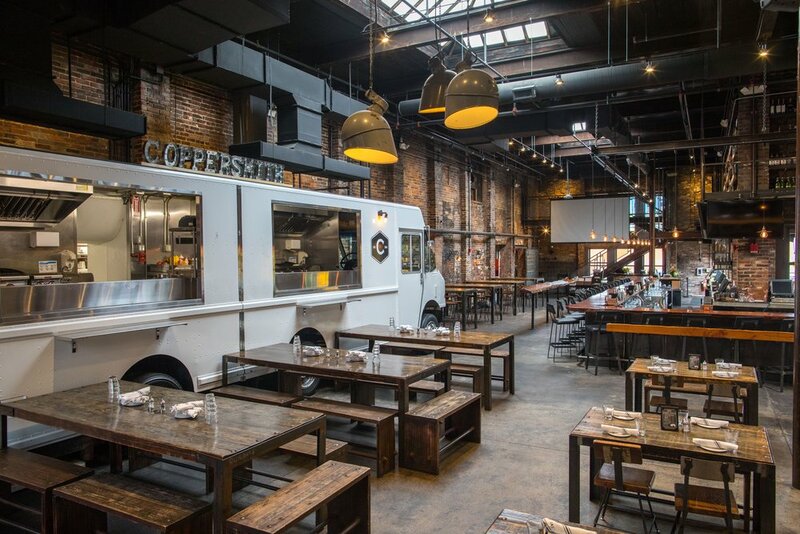 Plus, make sure to visit Coppersmith in South Boston to snap a pic with the “Show” boat featured in their restaurant starting Feb 9th to enter to win a grand prize worth $3,000. Climb Aboard: Hundreds of the latest boat models under one roof for attendees to browse, board and buy for every lifestyle and budget ranging from luxury cruisers and sport fishers to center consoles and pontoon boats, plus marine accessories and much more. Dozens of boating seminars: With a special emphasis on fishing tips and advice on sailing and boating topics. Learn to Do It Yourself: Step into Fred’s Shed, an interactive garage with experts teaching the art of boat maintenance and repair. Discover Boating Center: Unbiased information and affordable boats - some can even be financed for less than $250 per month! Pets on Board Contest: Share your favorite photo of your pet living the boating life to win a pet life jacket! There are 3 ways to enter– Bring the photo to the Show, tag #petsonboard and #neboatshow on Instagram or Twitter, or post your photo as a comment on the designated Facebook post from 1/27/18. NOTE: I am receiving compensation in exchange for this post, some social posts during the event as well as a post-event recap. All opinions are our own.